“As humans, weapons, opioids, and other drugs are smuggled, law enforcement and civilians become the targets,” Tillerson continued. America’s top diplomat said he is dialoguing with Foreign Secretary Videgray of Mexico to discuss how to combat the threats caused by TCOs. “We must take new approaches to disrupt their business models – models of cartels which operate much like any other business organization that maximizes their value chain from feedstock to manufacturing to distribution to marketing and sales,” he explained. The partnership between the U.S. and Mexico is called the Merida Initiative. It focuses on “improving security and the rule of law.” The United States is assisting the effort, and Mexican law enforcement and judicial institutions are being strengthened. Tillerson said that Columbia, the world’s largest producer of cocaine, has also been a strong partner. Columbian police eradicated the highest number of coca fields (130,000 acres) since 2010 last year. They also seized nearly 500 metric tons of the highly-addictive drug. They did so with the help of the U.S. The secretary warned that there is still much to do. Coca fields have catapulted to more than 460,000 acres in 2016. Tillerson said he is working to diminish the effect that TCOs have on Central America via the Alliance for Prosperity. Strengthening their economies and institutions will help decrease the hold that these criminal organizations have in these communities. It makes both their countries and our communities safer. The Clements Center for National Security and the Robert Strauss Center for International Security and Law hosted the event at the University of Texas. Breitbart Texas’ managing director and editor-in-chief Brandon Darby, and Ildefonso Ortiz are reporting on the cartel-driven civil war presently occurring in Mexico. The Cartel Chronicles, published in both Spanish and English, was founded by Darby, Ortiz and Stephen K. Bannon. The project focuses on the violence along the Mexican side of the border. It utilizes citizen journalists in Mexico to tell the story of the cartel violence that traditional journalists cannot tell due to fear of execution. Just this past week, Mexico’s top law enforcement officer announced that thousands of police had been deployed to Mexican beach resorts. Cartel violence in the country is escalating, and Mexico has had its bloodiest year. There were almost 25,000 murders in 2017 alone. Over the last seven years, law enforcement officials in the state of Veracruz in Mexico have found 343 mass graves in 102 different sites. They found 225 bodies and 335 skulls and almost 31,000 human bone fragments. The discoveries were made as part of investigations to find the thousands in the country who are missing. These individuals are believed to be massacred by cartel gunmen. Breitbart Texas has been reporting about the mass graves that are found in the war-torn country. Last May, Cartel gunmen murdered a mother who was leading a search for her daughter’s and other victim’s remains. She was gunned down by assassins on Mother’s Day in Mexico. In January, a traffic stop by Mexican authorities led to the seizure of 45.5 kilograms of fentanyl – enough to kill millions of people. Nearly a thousand pounds of crystal methamphetamine was also seized. Smugglers were transporting the drugs to the California border. In late January, Mexican President Enrique Peña Nieto canceled a visit to Reynosa, Tamaulipas. The state had recently suffered days of fierce cartel gun battles. Breitbart Texas has reported about the horrendous toil that the notoriously violent MS-13 gang has had in Texas and other parts of the country. Moreover, these gang members based in Central America are flooding into the U.S.
During the first three months of Fiscal Year 2018 in just the Rio Grande Valley Sector (RGV), apprehension and arrests of MS-13 gang members are up 212 percent over the same period in 2017. “We are apprehending nearly one MS-13 gang member per day,” RGV Sector Chief Patrol Agent Manuel Padilla, Jr. told Breitbart Texas in early January. 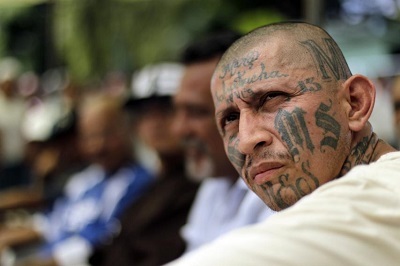 The Border Patrol Chief said that the RGV had apprehended 53 MS-13 members this year. Bob Price serves as associate editor and senior political news contributor for Breitbart Texas. He is a founding member of the Breitbart Texas team. Follow him on Twitter @BobPriceBBTX, Gab, and Facebook. Originally Published in Breitbart Texas.